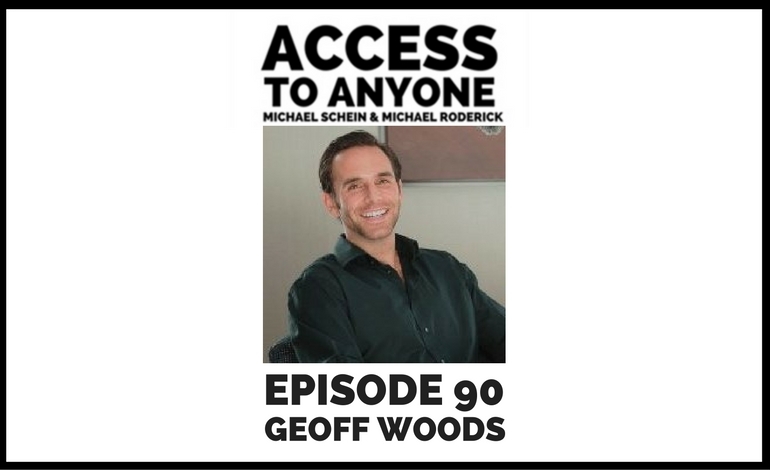 Geoff Woods went from medical device salesman to successful entrepreneur by building genuine relationships with some of the world’s most powerful people. And he used podcasting to do it (at least in part). During our conversation, Geoff shares his story, reveals what it means to upgrade your five, and shows us how to overcome fears, embrace our vulnerabilities, and build the courage we need to ask for what we want. He also tells us how he became a partner of Gary Keller, one of the most successful real estate moguls of all time. Geoff Woods is the Vice President of The ONE Thing, and the host of the top business podcast, The Mentee. After hearing the Jim Rohn quote, “you are the average of the five people you spend the most time with,” Geoff sought out to surround himself with high-level CEOs and successful entrepreneurs. Because he has been mentored by many of these heavy hitters, Geoff was able to quit his six figure corporate sales job and go full-time as an entrepreneur in less than ten months. Geoff has been featured in Entrepreneur, and is considered the authority on building meaningful relationships with high-level influencers. He is driven by opportunities to help others accelerate their success by surrounding themselves with the right mentors and the right ideas. He is on a mission to teach others how to live a life of focus so that they can have more by doing less.